Authored by Jessica Cussins Newman, Research Fellow with the Center for Long-Term Cybersecurity (CLTC), a new report, “Toward AI Security: Global Aspirations for a More Resilient Future,” introduces a new framework for global artificial intelligence (AI) security alongisde an analysis of government strategies from around the world, including the US, China, France, and India. The report highlights significant divergences between government approaches to the security implications of AI, but also identifies numerous synergies that can be leveraged to support global coordination. Cussins Newman uses the lens of global AI security to investigate the robustness and resiliency of AI systems, as well as the social, political, and economic systems with which AI interacts. The report introduces a structure for navigating the complex landscape of AI security, visualized in a framework called the “AI Security Map,” which provides a simplified overview of areas in which AI presents threats and opportunities, including the digital/physical, political, economic, and social domains. The map is used as a way to visually represent key domains and topics relevant to AI security, as well as a comparative tool to highlight which topics are addressed by different actors. The report also includes an analysis of AI strategies and policies from ten countries, using the AI Security Map to identify areas of convergence and divergence. This comparative exercise highlights significant policy gaps, but also opportunities for coordination and cooperation among all surveyed nations as they advance their respective AI strategies. 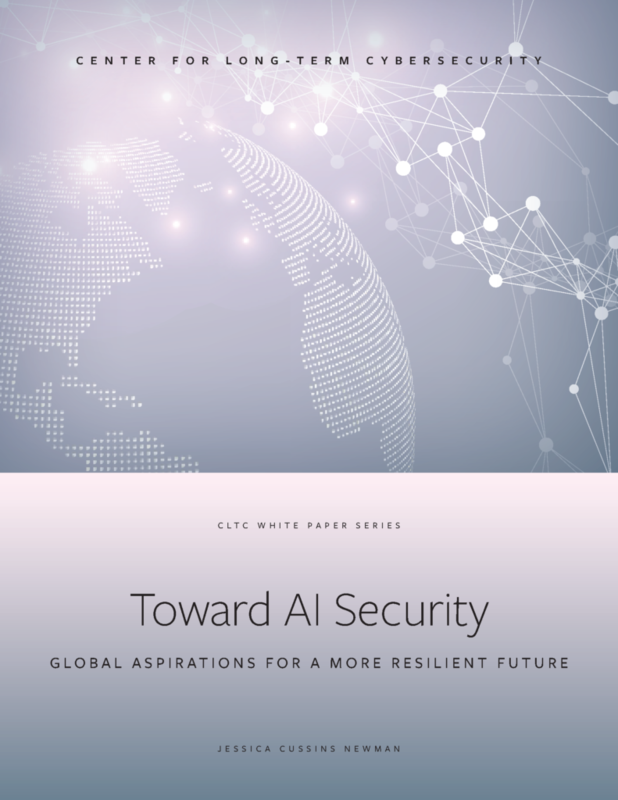 Among the key insights detailed in the report, Cussins Newman highlights that a comprehensive response to AI security is multifaceted and encompasses social, economic, and political dimensions that reach far beyond conventional considerations of physical and digital security. She provides five recommendations for policymakers hoping to harness and direct AI technologies for a more resilient and beneficial future. These recommendations outline concrete actions that can be taken immediately to address a complex and quickly changing sociotechnical landscape.